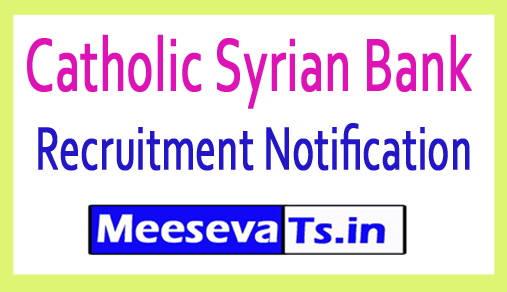 Catholic Syrian Bank Business Development Executive Recruitment Notification 2018: Apply for 373 Professional Development Executive vacancies @ csb.co.in. Catholic Syrian Bank is going to recruit Business Development Executive through the Catholic Syrian Bank Business Development Executive Recruitment 2018. Interested and qualified candidates who want to apply this recruitment, can apply online on their official website csb.co.in. Full details of this recruitment are available on its official website and School 360.in also provides complete information about this notification. Educational qualification, application process instructions are outlined below for implementation. Look around for the "Catholic Syrian Bank Recruitment 2018" for Business Development Executive positions.